The closeted son of an ultra-conservative president must keep a budding romance secret from his father while protecting himself from a sentient computer program that’s terrorizing the United States—and has zeroed in on him as its next target—in this “socially conscious sci-fi thriller to shelve between The Terminator and Romeo and Juliet” (Kirkus Reviews, starred review). But when attacks start happening at his school, Lee realizes he’s Charlotte’s next target. Even worse, Nico may be part of Charlotte’s plan too. As Lee races to save himself, uncover Charlotte’s plan, and figure out if he can trust Nico, he comes to a whole new understanding of what it means to be alive…and what makes life worth living. The first time I set eyes on the new kid, he’d just pressed himself into a handstand on the stone wall above the cliff. Right away my heart started pounding and my shirt collar seemed to tighten around my neck—I had a complicated relationship with heights—but I couldn’t tear my eyes away from him either. His feet seemed to float there, as steady as a hot-air balloon, under the black, low-hanging clouds. Only the flexing and relaxing of his fingers on the rough stone hinted at the effort it took to balance like that. His hair, longer than regulation, hung down from his head in bronze-colored curls, and the dark blue necktie of his school uniform dangled to one side of his grinning face. Below him, the river that ran underneath Inverness Prep roared. I couldn’t see it from where I stood, but I could picture it on the far side of the wall, crashing down over the cliff face like shattering glass. I cut a look at her. That was Bex’s name for me: the Walking Walk-In—a semiaffectionate allusion to my closetedness. By then everybody on the terrace had turned to watch the show. A loose crowd of students had formed around him, the FUUWLs and a few others. Their pucks hovered in a cluster over their heads, the palm-size disks held aloft by softly whirring rotors. Bex wandered closer to get a better look at the kid, but I kept my distance. I noticed Dr. Singh, the robotics teacher, hunched in her wheelchair near the school entrance, having a smoke and observing the proceedings. “What a goddamn idiot,” she muttered in her wheezy smoker’s voice. But she didn’t make a move to intervene, which didn’t surprise me. She wasn’t exactly a disciplinarian. Meanwhile, my heart still felt like it might punch through my chest any second. In my mind, I could already see the boy losing his balance and vanishing over the edge. I imagined it happening fast, like a magician making himself disappear. I knew the FUUWLs must’ve put him up to this. Bex and I called them FUUWLs (pronounced fools) because you could practically see the words “FUTURE UNSCRUPULOUS ULTRAPOWERFUL WORLD LEADER” tattooed on their foreheads. The pack of them had conquered Inverness Prep the way other kids might conquer a video game, ruthlessly mowing their way to the top in every category: academics, sports, popularity. Just seeing them around school, with their flawless hair and calculating eyes, never failed to turn my stomach. A ragged wind gusted across the terrace, ruffling the boy’s curls and whipping the cuffs of his khakis around his ankles. The crowd gasped. One of the trio of girls let out a thrilled scream. Several pucks shot higher, ready to capture the kid’s final moments on video. My heart jackhammered against my rib cage. But his legs didn’t budge. She exhaled a dribble of smoke but didn’t answer. Her salt-and-pepper hair, in its usual messy ponytail, stirred in the breeze. Her eyes, still fastened on the boy, had taken on a strange intensity. The FUUWLs had also appointed themselves enforcers of Inverness Prep’s time-honored traditions, including the Freshman Stand. At the start of each year, while everybody waited on the terrace to be ushered inside for the Welcome Assembly, the upperclassmen would dare the boys from the incoming freshman class to stand on that wall—not on their hands, just on their feet. That was terrifying enough, especially when the wind kicked up, which it always did. The older kids would laugh and hurl insults at the petrified freshmen half crouching on the wall, and they’d torture the ones who hadn’t had the courage to do it even more mercilessly. Although in my case, things had played out differently. I suppose that year’s upperclassmen couldn’t resist the temptation after everything they must’ve read about me on the Supernet. When I refused to climb up, three of them grabbed me and deposited me there themselves. When I tried to scramble back down, they formed a barrier to block me. So there I stood, my body shaking, my glasses misting with spray, the wind shoving at me as if it wanted to join the game too. The whole time, the boys standing below me chanted the nickname the sleaziest gossip sites had coined for me a few weeks earlier: “Leap. Leap. Leap.” Probably knowing they’d get in serious trouble if Headmaster Stroud caught them taunting me, they repeated the name—or was it a command?—in a whisper, their voices blending with the brutal smashing of the waterfall. Before the Welcome Assembly my sophomore and junior years, I’d made sure to skulk in the main hall so I wouldn’t have to watch the ritual. Today, though, it had taken me by surprise. The school year had started a month ago, and the new boy didn’t look like a freshman, but the FUUWLs had clearly decided the tradition still had to be observed in his case. They were sticklers that way. And it appeared he’d taken them up on their dare and gone one step further. My hands in fists at my sides, I glanced up at Stroud’s office window, all the way at the top of the school, wishing he’d look down and see what was happening and put a stop to it. He always seemed to see everything. But today he must’ve already come downstairs for the special assembly. A mechanical thundering filled the sky, drowning out even the noise of the waterfall. I looked up again. A black helicopter slid into view above the school. While everybody else gaped at the huge chopper hanging over our heads, my eyes jumped back to the boy. Another blast of wind, much bigger this time. The kid’s legs wobbled, then scissored frantically back and forth. “What?” I sputtered. No time to make sense of it. I wrenched my arm out of her grip and barreled forward, shoving people out of the way. Others had noticed the boy flailing now, but they were hesitating, unsure what to do. The wind smashed into him. His hands staggered a few steps to the left. Ten feet from the wall, my shoe caught on a flagstone. The floor flew up and slammed into my cheek. All the air blew out of my lungs. I rolled onto my back, my eyes squeezed shut. I knew what I’d see when I opened them: the boy, vanished. The wind had slackened. The helicopter had disappeared. It must’ve circled around to land on the school’s front lawn. A few kids snickered, like they’d known all along he’d been faking the wobbling. A soft purring came from my inside blazer pocket: Gremlin, trying to calm me down. Technically, Stroud was also my grandfather, but that didn’t mean I was entitled to special treatment—unless you considered an extra share of contempt special treatment. While the other kids crowded toward the doors, their pucks swarming along with them, a hand appeared above me: the new boy’s. I flinched as I took it. His skin felt hotter than I’d expected. He gave me a wink and melted into the crowd. For a second I stood staring after him like an idiot, my face burning. Then I remembered Dr. Singh, and her hand clutching my wrist. Just let him fall. A cold breeze blew in from the lake, chilling the back of my neck. I looked for her, but she’d disappeared too. "Smart, brave and utterly original, WILLFUL MACHINES asks questions that matter. Tim Floreen’s unforgettable debut will stay with you long after you’ve finished reading." "WILLFUL MACHINES is as exciting as it is heartbreaking. 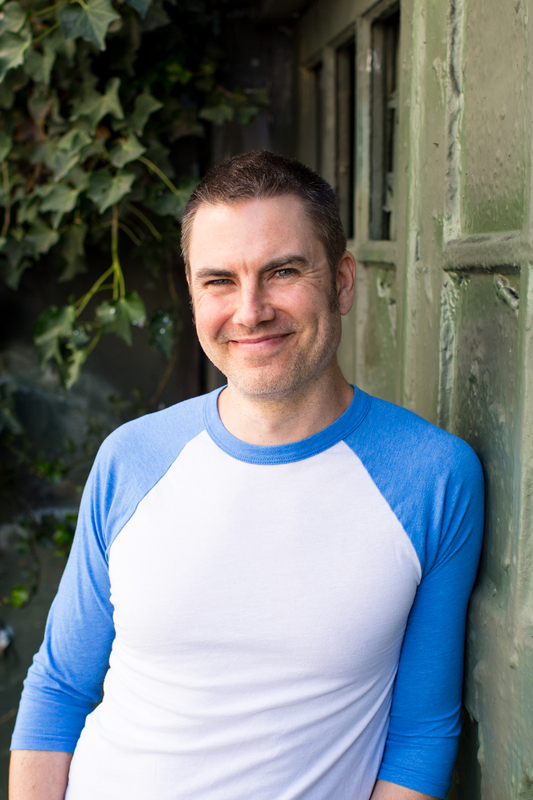 A deft mixture of science fiction, gritty action, and sweet first love, Tim Floreen’s debut is everything I want from a book." 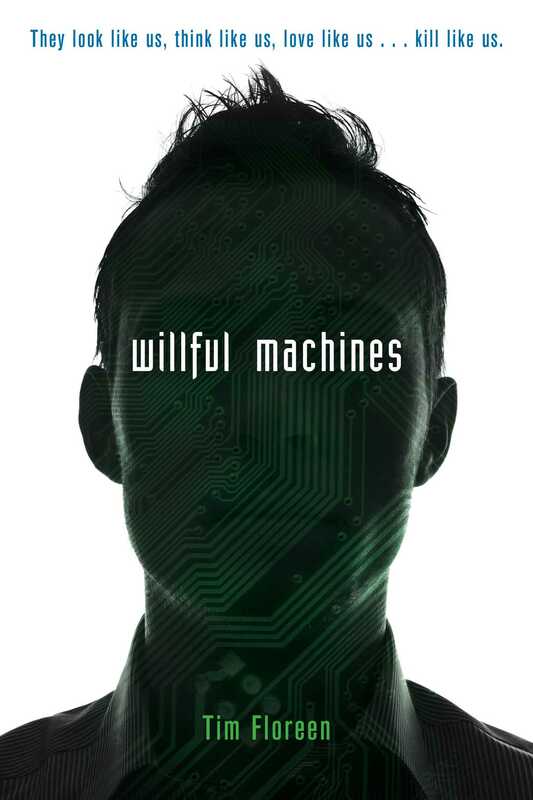 "WILLFUL MACHINES is a thought-provoking thrillerwrapped around a fascinating concept—skillfully mixed in with basic humandilemmas. Tim Floreen’s tale convincingly depicts a world where machinescan pass as human, but humans still struggle with age-old questions: “Howmuch control do I have over my own life? Who can I dare to trust? Who can Idare to love?”"
*** "From a first-person perspective, Lee fumbles from self-deprecation to self-confidence. As varied as his opinions are of himself, so too is the landscape, mixing technology with gothic settings à la Poe and Stoker. Gothic, gadget-y, gay: a socially conscious sci-fi thriller to shelve between The Terminator and Romeo and Juliet." "This is a well-written title [that] will cause students to think aboutthe future. Science fiction fans especially will enjoy the story." "This book will find an audience for anyone who likes a good romance/thriller but also should resonate with those who are coming to terms with and discovering their own sexuality and self-awareness. An excellent debut thriller that will reach a wide range of readers." "From start to finish, Floreen builds a world in a future near enough to resonate with teens’ realities. The question of whether machines can possess free will–and if so, what separates man and machine—is thought provoking and handled maturely. Readers will clamor for a sequel." "Floreen’s thoughtful debut calls into question the definition of humanity and the nature of love. Genuine twists should catch readers off-guard [...]and the story raises intriguing ideas about free will, morality, and growing up." "A tightly knit thriller that will delight both its targeted teen audience and adults who enjoy a wonderfully created futuristic world."